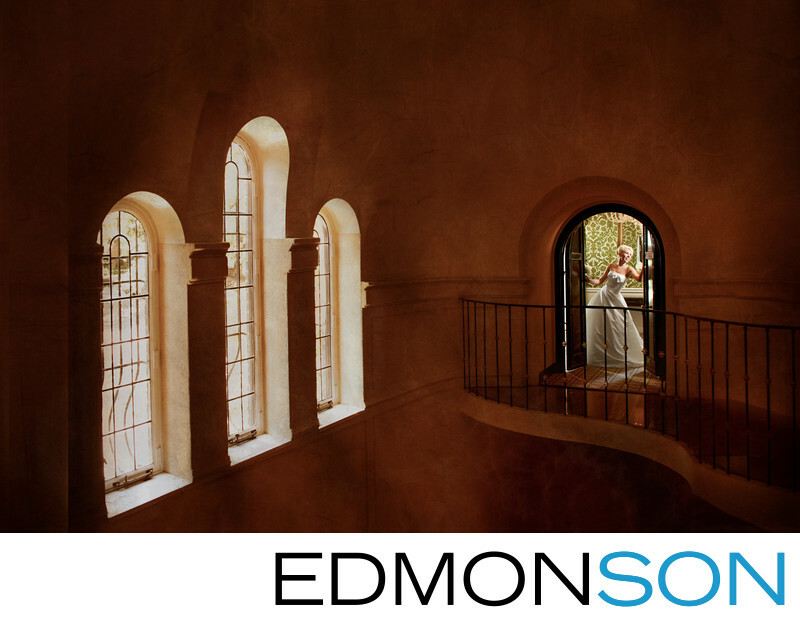 The historic Rosewood Mansion on Turtle Creek provided a signature setting for this DFW Events bride's portrait session in Highland Park. She is standing in the doorway on the 2nd floor of the lobby to the restaurant. Her reception was later held inside the ballroom and this photo was prominently displayed outside the entrance. 1/80; f/4.0; ISO 1000; 24.0 mm.